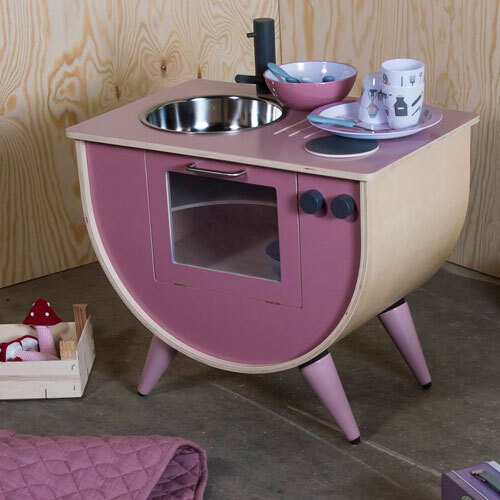 There is every chance that your toddler will want a ‘play kitchen’ at some point, especially when Christmas is around the corner. Plenty out there too, but none as fashionable at the Vintage Rose Wooden Play Kitchen at Ella James. 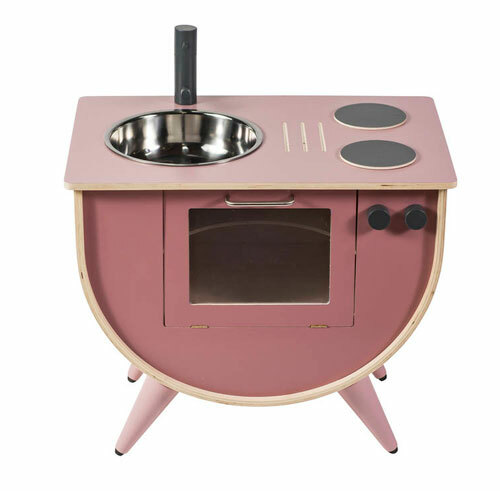 Yes, this is a midcentury take on the classic play item, made from wood and metal (so more substantial than the more common plastic ones) and finished with a sink and tap, a hob and an oven with opening door. Love those tapered legs at the bottom too. £160 certainly isn’t cheap, but you suspect this will hold its value on the secondary market too.